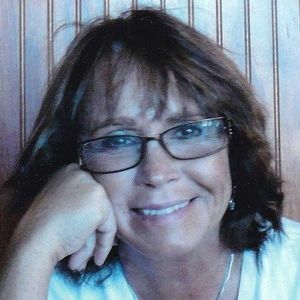 MARKLEVILLE- Lois (Crawford) Croft, 73, passed away March 22, 2019 at her home. She was born August 29, 1945 in London, Kentucky and was a former Pendleton resident. Lois was a dedicated wife and mother, loved by all. She had been employed at St. John's Hospital, Anderson in medical records as well as Edward Jones as an Administrative Assistant. She also served as an EMT with Pendleton Emergency Ambulance Service. Survivors include her husband, Allen Wayne Croft, whom she married April 23, 1977; daughter, Tracy (Jon) Lawyer of Pendleton; son, Nicholas (Kimberly) Croft of Carmel; son, Adam (Ashley Rambo) Croft of Pendleton; daughter, Emily (Joey) Charles of Phoenix, Arizona; grandchildren include Ashley (Kris) Gustin of Pendleton; Jordan (Deb Arney) Lawyer of Pendleton; Sophie and Sawyer Croft of Carmel; Caden Rambo of Pendleton; great-grandchildren, Braden and Brinley Gustin of Pendleton; and sister, Rhoda Frazier. She was preceded in death by her parents, William and Dorcas Crawford. A Celebration of Lois' life will be held at 7:30 p.m., Thursday, March 28, 2019 at Wilson St. Pierre Funeral Service and Crematory, Lahm Chapel, Pendleton with visitation from 4 to 7:30 p.m. In lieu of flowers memorial contributions may be made to Pendleton Emergency Ambulance, P.O. Box 165, Pendleton, IN 46064.